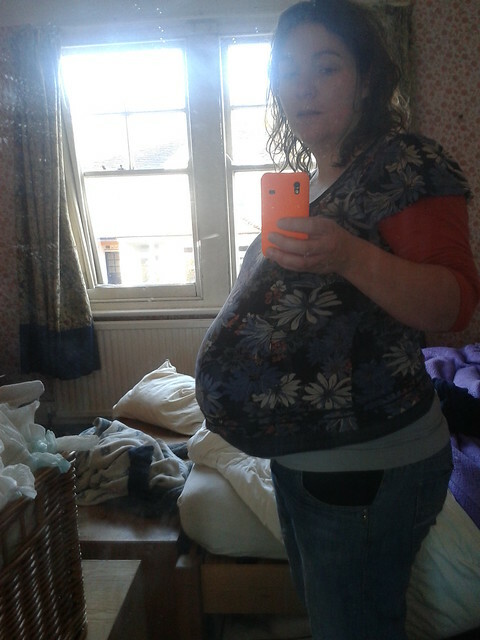 Government Petition to Save Independent Midwifery – here. If you are (or want to be) a member of 38 Degrees, please consider voting for Independent Midwifery as a campaign – here. I can’t write about Independent Midwives without crying. FB’s birth was hard – I didn’t realise how hard until I was pregnant with LR and it all came flooding back, all those things I had squashed to the back of my mind, because my priority from the moment he was born was to get FB feeding (which took about 9 weeks) and learn how to be a parent of this tiny child. I met my midwife (the wonderful Liz) through a local sling meet when I was 16 weeks pregnant with LR, nosing around for a newborn sling that wasn’t a baby bjorn. Initially I wanted to know if it was possible to do some sort of debrief of my first birth (because already – as I said – I was starting to feel the ‘omg I want this child so much but I don’t think I can do this again’). I went off and got all my paperwork from the hospital and we sat down about 6 weeks later to go through what happened. I still think about FB’s birth – in the end I was given meptid, induced up to my eye balls and got to crowning without (more) added interventions (at which point I was exhausted and had pushed for 2 hours, and agreed to a kiwi ventouse to get him out that last little way.) I still wonder if things could have been different? How they could have been different? Beyond not getting my first ever bladder infection just days before I gave birth for the first time. I still don’t know. It was what it was, but it’s taken a lot of work and time to get to feeling like that. And I’d still like to kick the people who thought they were being funny, when it was the very last thing I needed. 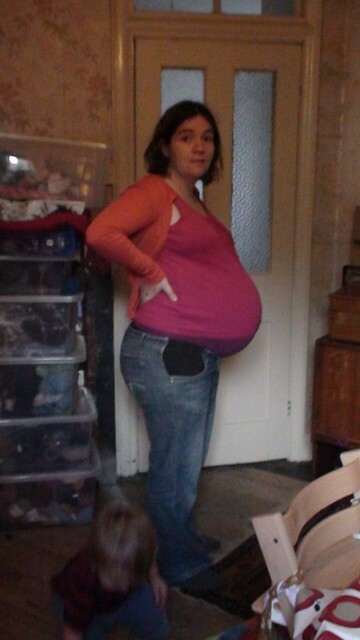 Back to independent midwives – Liz helped me unpack my head for the rest of the pregnancy. Her care was superb and FB (then 2) thought she was wonderful and was a little midwife in training. And a few days after my due date I gave birth to LR, all 10lb 1oz of her, at home. Which not to say it wasn’t an eventful birth – there was a cervical lip to be negotiated, and I pushed for three hours (only to find that she was as big as she was and had a hand beside her face!) But I felt safe and protected and trusted Liz implicitly. After that, there was no doubt it either my mind or W’s that if were doing to have the third child we hoped to have, Liz would be part of the equation. What has surprised me about this pregnancy is how much I have still had to unpack. 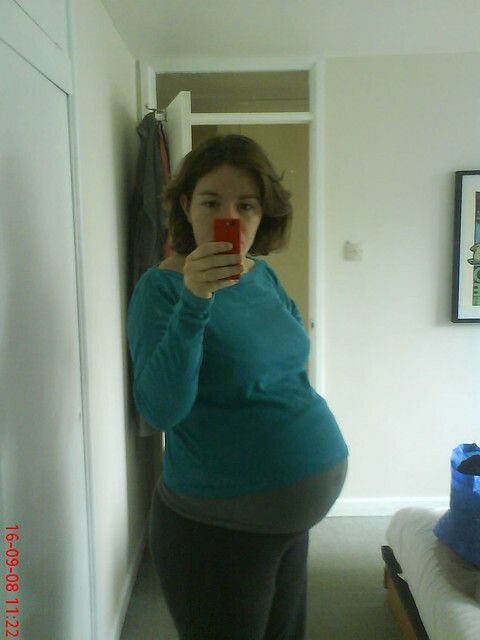 At around 30 weeks (just before Christmas) I suddenly became terrified of the pushing stage. I had worked so hard and for so long last time that it had felt endless and I had felt completely removed from what was actually happening. I hadn’t realised any of that was the case until I came closed to the time when I would have to do it again. I realised that during LR’s birth, I had jumped on the urge to push and pushed like someone was coaching the hell out of me (even though they weren’t. I thought that’s what you did.) I’m still not sure if that made life harder for me. But after a ton of reading (again) and talking, I’m starting to see that there are things I can explore when the time comes. That there are processes that I can work with rather than stomp over. I’m still jealous of the women who make tiny babies and push them out with two pushes but I’m beginning to accept (all over again) that I’m not one of them. Could I have done this work without an Independent Midwife? I’m not sure. There isn’t much continuity of care in our local area and I found not being able to talk to my community midwife after FB’s birth upsetting and confusing. Certainly I wouldn’t have the option (as a have right now) to be birthing while being cared for by someone who knows me and has already seen me birth before, and therefore knows what’s normal and what’s normal for me in particular. So now I’m 37 weeks pregnant, uncomfortable and frankly ready to be done, and feeling heartbroken because if things don’t change quickly, Independent Midwives will lose their right to practice this coming October. Women who want to birth outside of the medical system (or as outside as they safely can be) or who want to ensure they get the post partum care they need for their own recovery, will have run out of options. Women with PTSD from previous births will have fewer places to turn, and midwives who have real experience of non-medicalised birth, breech birth and natural twin births will be suddenly far fewer in number, and those skills could well disappear. I am a huge supporter of the NHS, and I am grateful that there are procedures available to protect seriously at risk women and their babies, or women and their babies, when something goes wrong. But for many, for most, birth is not a sickness. It is not something to be cured. And those births can only be understood by being experienced in their natural state, over and over again. Till they feel as normal as they actually are (or could be.) This is what Independent Midwives do. I don’t want them to be gone. Without them, my life, and our family life would not be as it is today. ← Yarn Along – A Book I’ve already finished and a Cowl I have to stop knitting. you've been through such a lot bringing your children into the world – well done for having the courage to work through it all and for sharing (hope that doesn't sound patronising! i admire your determination and courage immensely!). i've had 2 children and was really fortunate to have them both at home, supported by excellent midwives (i'm not saying they were idyllic strolls in the park, but compared with the interventions i feared in a hospital, they were good). the only reason we went for a home delivery in the first place was after a day course on active birth (not NHS). like you however, i support the NHS and am grateful to them. i'd not thought of looking into independent midwifery at those times, but i can absolutely see how vital their services are. i have signed the petition and i wish you a smooth and safe birth in a few weeks time! Thank you so much for sharing your story so openly! Wishing you a safe and beautiful birth!